Last year, Motorola unveiled all sorts of special Sol Republic audio products alongside the Moto X. From color-matched MotoMaker ear buds (for free) to the Deck Bluetooth speaker, there were plenty of options to help you live out your audio dreams. According to an FCC filing for a new “Sol Republic x Motorola” product, it looks like Motorola will repeat last year’s audio offerings with the inclusion of an even bigger Bluetooth speaker. The listing details a Bluetooth speaker that measures 153x60x55mm, which is somewhere in between a Jambox and Samsung’s Level Box speaker. An FCC filing arriving today, could mean that we will see this new speaker alongside the Moto X at next week’s launch in Chicago. 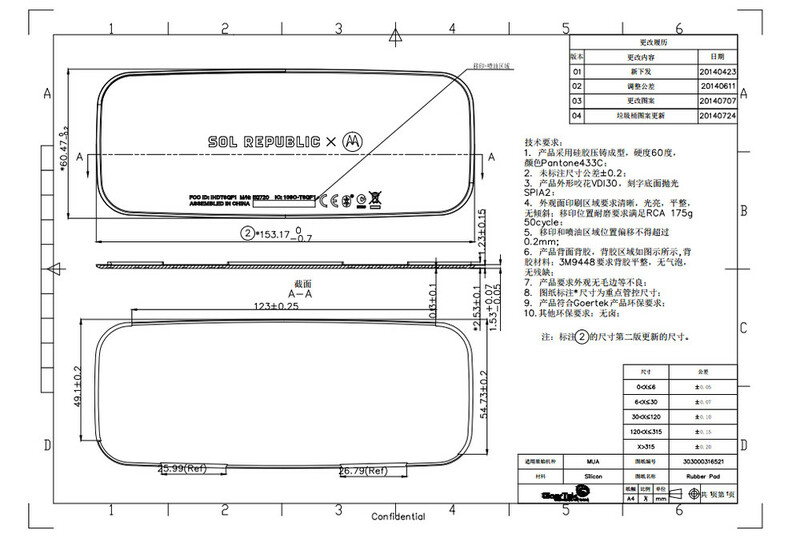 Update: According to a Bluetooth SIG filing, the new Sol Republic speaker will be called the DECK HD.